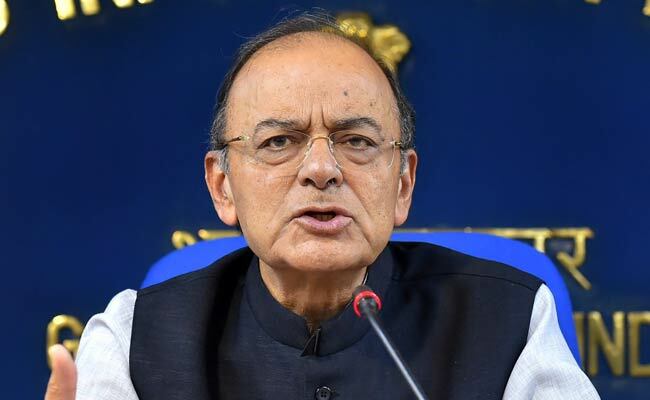 New Delhi, Sep 12 (PTI) Finance Minister Arun Jaitley Wednesday rubbished Vijay Mallya’s claim of having met him before fleeing to London in 2016, saying he never gave him an appointment after becoming a minister in 2014 but the fugitive liquor baron misused his position as an MP to accost him once in Parliament. Terming Mallya’s offer to settle overdue loans of over Rs 9,000 crore to his now-defunct Kingfisher Airline as “bluff offers”, the minister said he did not even take the papers Mallya was carrying during that brief encounter. Jaitley’s comments came in response to Mallya, 62, who is fighting numerous lawsuits in the UK and back home over fraud and money-laundering allegations as well as an extradition to India, claiming after a court hearing in London that he was “tipped off” to leave the country. “I left because I had a scheduled meeting in Geneva. I met the Finance Minister before I left, repeated my offer to settle with the banks. That is the truth,” he told reporters in London. He, however, did not say who “tipped him off” to leave the country. In a Facebook blog, Jaitley said Mallya’s statement was “factually false” and “does not reflect truth”. “Since 2014, I have never given him any appointment to meet me and the question of his having met me does not arise,” he wrote. But Mallya being a Member of Rajya Sabha, occasionally attended the House. “He misused that privilege on one occasion while I was walking out of the House to go to my room. He paced up to catch up with me and while walking uttered a sentence that ‘I am making an offer of settlement’. “Having been fully briefed about his earlier ‘bluff offers’, without allowing him to proceed with the conversation, I curtly told him ‘there was no point talking to me and he must make offers to his bankers’,” Jaitley said. The Finance Minister said he did not even “receive” the papers that he was holding in his hand. “Besides this one sentence exchange where he misused his privilege as a Rajya Sabha Member, in order to further his commercial interest as a bank debtor, there is no question of my having ever given him an appointment to meet me,” he added. The government is seeking the extradition of Mallya, the tycoon behind India’s best-selling beer, after bankers have pursued him for unpaid debt by his carrier that was grounded in 2012. “I have said before that I am a political football. There is nothing that I can do about it. My conscience is clear and (I) put almost Rs 15,000 crore worth of assets on the table of the Karnataka High Court,” Mallya told reporters while having a cigarette during the lunch break during the hearing for his ongoing extradition case at Westminster Magistrates’ Court in London. He said the media should question the banks why they are not supporting him in his efforts to repay. “I am certainly a scapegoat, I feel like a scapegoat. Both political parties don’t like me,” he said.